This is one of our most used and appreciated ground covers. In the landscape, it affords soft texture and uniform growth under even shallowly rooted trees and shrubs. It combines well with Wild Bleeding Heart, Wild Ginger, and Ferns as well as pines and even black walnuts. It is excellent with spring bulbs and covers their dying foliage. 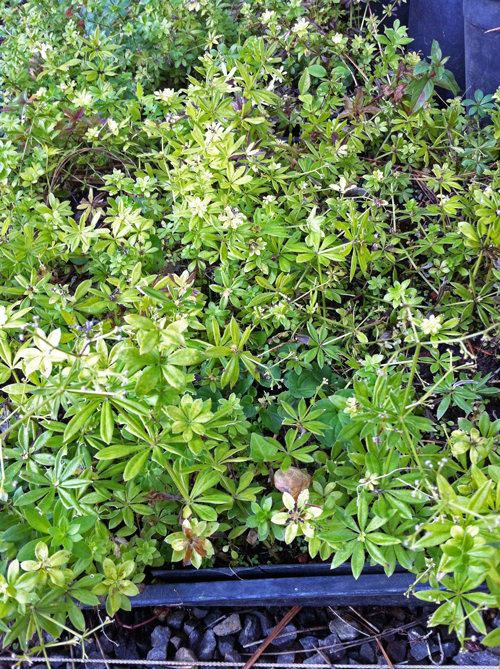 Nearly evergreen, or in sheltered places, fully evergreen, it is covered in spring with tiny white flowers. 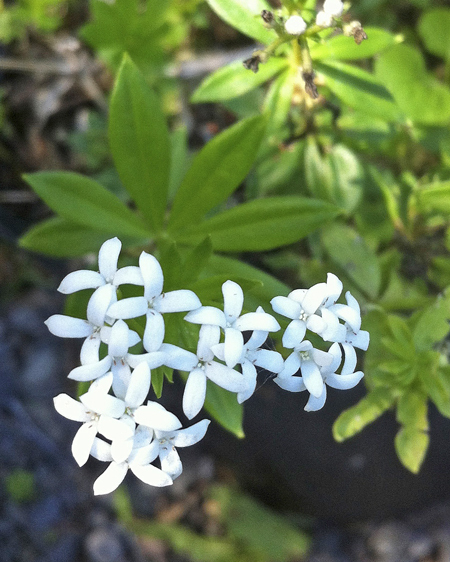 Traditionally, Sweet Woodruff is an ingredient in May Wine. An excellent restoration choice because of its silt absorbing quality and rapid spreading habit. At its best in rich, moist, loamy, acidic soil in partial shade, it is tolerant of sandy soils and heavy clay, in full sun or deep shade. A winner. Categories: All Plants, Herbaceous Perennials, Native Plants, More..